Whenever you become injured, you know that the recovery process will take time. If another person’s negligence causes your injuries, you likely feel frustrated at the situation, even if you only sustained minor injuries. But what if you were involved in a train or bus accident? What do you do in those circumstances? The injuries sustained in these accidents can be more detrimental than injuries from other accident types. So if you were recently injured in a bus or train accident, get in touch with the experts at Otorowski Morrow and Golden, PLLC. 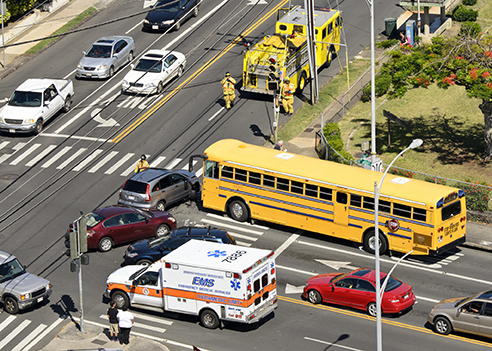 We’ll assign a bus or train accident attorney to your case so you can receive fair compensation for your injuries. Because trains and buses are larger vehicles, they can cause more serious injuries. Some accidents can even lead to wrongful death. These cases are often difficult to maneuver alone, especially because it may be difficult to identify the party responsible for your injuries. We’ve served the Seattle, WA since 1979. As you work with us, we’ll manage your claim and keep you as up to date as possible. If you were involved in a train or bus accident and became injured, seek legal counsel as soon as possible. You are entitled to compensation, and the lawyers at Otorowski Morrow and Golden, PLLC can help you receive it. Call our Seattle, WA office today at 888.842.1001 or reach us through our online contact form. We’ll schedule a consultation so you can meet with a train or bus accident injury lawyer and file a claim.